Take back your Internet privacy with VyprVPN. Connect easily on any device to secure your web connection and protect your identity with anonymous browsing on a virtual private network. Bypass geo-blocked and restricted content and get unlimited access without download caps from anywhere around the world. Get VyprVPN at no risk. Try our safe and private connection with no commitments and easy cancellation. VyprVPN is a certified and independently audited No Log VPN, with absolutely none of your private data or activity being transmitted, monitored, or exposed to third parties. We respect the intent of No Logs and we will never allow the personal information of our users to be exposed or misused. Unblock your favorite content with a secure connection. Download your shows and movies from the USA and around the world with no data caps. No matter where you are, we’ve got you covered. Get past location firewalls and watch the best streaming content. With 70+ worldwide server locations across 6 continents, 700+ servers and 200,000+ global IPs, you have all the flexibility to virtually access the internet from anywhere around the globe - while bypassing ISP blocks. We own, engineer and manage our VPN servers so we can deliver fast and reliable connections with the highest level of security. Our upgraded servers guarantee increased speeds and faster connection times when gaming, streaming or downloading. Laptop, tablet, smartphone, router or even your TV - VyprVPN keeps all your connections safe. Get full access to the internet and unblock all websites with VyprVPN’s remarkable technology. Our Chameleon™ Protocol scrambles your connection to ensure no one can detect that you are using a VPN service. Our “Kill Switch” feature stops internet traffic when VyprVPN disconnects or is not enabled. 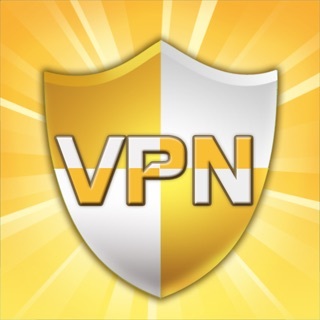 This ensures maximum security as you’ll never connect to the internet without VPN protection. With VyprVPN’s NAT Firewall, browse and shop online with peace of mind, and stop hackers from accessing your personal information. If you have any questions, our dedicated support team will be there to help you. If you’re ready, so are we. 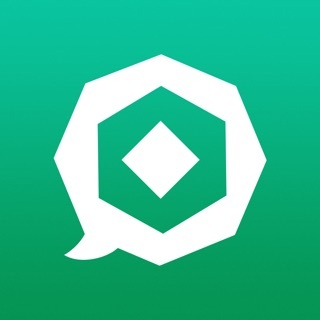 Try VyprVPN for three days 100% free. Connect now to the top VPN service. - Chameleon™ Protocol & Kill Switch are only available on select devices. - A Credit Card is required for the free trial. You won’t be charged unless you decide to keep using VyprVPN after the trial period. - You can choose from three subscription plans: $29.99 USD/year for VyprVPN Mobile; $9.99USD/month or $59.99USD/year for VyprVPN; $12.99USD/month or $79.99USD/year for VyprVPN Premium. - Your payment will be charged to your iTunes Account at confirmation of purchase. - Your account will be charged for renewal within 24-hours prior to the end of your selected subscription. - You can turn the auto-renewal off by going to your Account Settings. - Your current subscription cannot be canceled. I’ve actually been trying to chill myself before writing this review, because I don’t want my rage to confuse others. The simple fact for me is that, I trusted VyprVPN, but their terrible service caused me not only anxiety, but also economical lost. Before I left U.S. for China, I checked different VPN companies, because I know that Chinese Fire Wall would cause me lost connection with the world outside. VyprVPN advertises itself, saying it has a team consistently working on breaking the Chinese Fire Wall, so I payed for a year’s service. However, the truth is that their servers do not response most of the time, and my MacBook VyprVPN does not even try to connect when I click the “Connect” button! I could not check my gmail, or my Messenger, which fact made me almost isolated from my friends and colleagues outside of China for two weeks until a friend in China helped me find another VPN service, free to use and much more reliable. During which time, I lost a check sent from the U.S. due to the fact that I could not update my address in China. I really hope that no one else would fall into such terrible situation as I did. Please reconsider if you are planning to use VyprVPN for serious reasons. And do not pay them anything! Since I just learned that there are other VPN services that are free to use, and that, more importantly, really work! Long time user but at some point the software stopped working with iMac and mac book pro. Contacted technical support several times. I was told they are "aware and fixing the problem", well that's been a good long while. I'm at the point now I have to reboot in order to use the VPN. The IOS phone softy became buggy also. This isn't an apple issue it's gone on way to long, putting in tickets and getting nothing. No trouble shooting just delete and reinstall? That's not the problem. Previously this was the top of the line VPN in my opinion don't know what happened. No doubt time to get a new VPN. The software has been updated!! Works very well now thank you for listening and responding to software issues. The mac and ios software are faster more servers it seems and the other issues have been resolved.